While several rumors point towards Apple releasing its first iPhone models with OLED displays next year, the head of LCD manufacturer Innolux Wang Jyh-chau believes that OLED is unlikely to fully replace LCD technology in terms of performance-cost ratio and reliability long term, according to DigiTimes. Instead, a new display technology called Micro-LED could eventually replace LCD to become the mainstream display technology, as noted by Innolux vice president and mobile product general manager Yang Hung-wen. In response to market speculation that Apple will adopt OLED for its new iPhone to be launched in 2017, Innolux vice president and mobile product general manager Yang Hung-wen indicated that in order for product differentiation, Apple is likely to do so but it is uncertain whether it will be on a long-term basis, especially when Apple is developing Micro LED on its own. Apple reportedly opened a secret laboratory in northern Taiwan last year to develop thinner, lighter, brighter, and more energy-efficient displays for future iOS devices, recruiting talent from local display maker AU Optronics and Qualcomm subsidiary SolLink. The report described the new displays as more advanced versions of LCDs currently used in iPhones, iPads, Macs, and other devices. A subsequent report said Apple may be developing Micro-LED technology at the factory following its acquisition of Micro-LED company LuxVue Technology in 2014. In December 2013, LuxVue raised $25.2 million in funding to pursue the display technology, and the company also filed several Micro-LED patents. At the time, one of the company's investors said it had "a technical breakthrough in displays." Apple currently uses TFT-LCD displays for iPhones, while the Apple Watch is the company's only product with an OLED display. Rumors suggest the Apple Watch may gain a Micro-LED display itself as early as the second half of 2017, likely because the device's small size makes it suitable for testing new display technologies ahead of larger devices like the iPhone and iPad. Today's report ultimately means that Apple's rumored switch to OLED display technology next year may only help keep up with the competition in the short term as it works to develop Micro-LED displays. 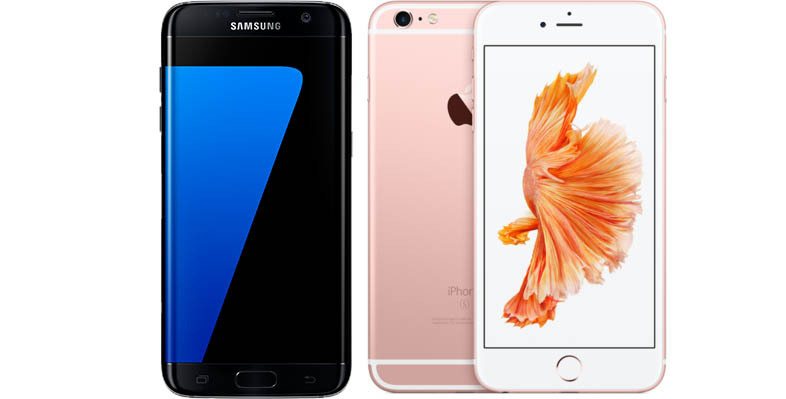 Apple's tenth-anniversary iPhone in 2017 is expected to have glass casing and a 5.8-inch curved OLED display supplied by Samsung. Meanwhile, it has been reported Apple still plans to introduce 4.7-inch and 5.5-inch models with flat LCD displays like the iPhone 6s and iPhone 6s Plus. Sounds a lot more like Apple to wait and go straight to this Micro-LED thing when it's ready. I think Apple is doing the right thing. After seen so many Burn in, Image retention issues with allot of OLED displays this is a huge headache that Apple should avoid at all cost. I have seen this to all of my friends who use Samsung. I've only seen this with store display units that run the same images every day, all day long. I've owned phones with OLED displays for years and have never seen this on any of my devices or my family's devices. Not saying it can't happen, but one has too look at the circumstances under which the burn in occurs. Hell TFT-LCD displays still have this issue. Run the same image all day long and don't put the screen to sleep... same thing will happen. The problem is Apple needs to be launching an iPhone with this in now, not in a year or 2. This market moves too quick and you get left behind very quickly. Meanwhile Galaxy owners enjoy their superior tech here and now. Water resistance is a bigger priority than 3D Touch. We don't need another dimension of interactivity. Long tap is all we need. So you're trying to play Apple evangelist to all your friends by showing a picture of a display model burn in? Should I send to all my friends using an iPhone pictures of Touch Disease? Or how about the dented cases that seem to be common for display models too? When you run any device, in a public setting, at 100% screen brightness, on a static image, you run the risk of burn in, on any LCD or LED display. So you're telling me with the quadrupling down that all the panel manufacturers are doing with OLED, they're going to be moving to Micro-LED (which can't be produced in volume yet) thus making Apple late to the game? That doesn't make sense from an R&D, supply chain tooling, investment, or logistical sense. Yes, while everyone else is still trying to get an NFC payment program off the ground, all of those extra years with NFC really paid off...oh wait.